Once your products are manufactured or assembled, sequenced, and properly labeled, they need to be shipped to the OEM. PlantTalk:Ship generates or provides for the interfaces to the business system for required shipping paperwork. 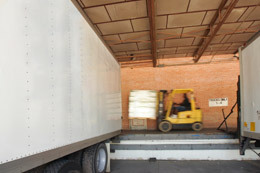 In most cases, there needs to be at least the Bill of Lading paperwork when a truck leaves for the manufacturer. Additionally, the manufacturer often requires sending an Advanced Shipment Notification (ASN) via EDI.